A dental bridge is a popular, permanent, affordable, and low-risk treatment for replacing one or more missing teeth. 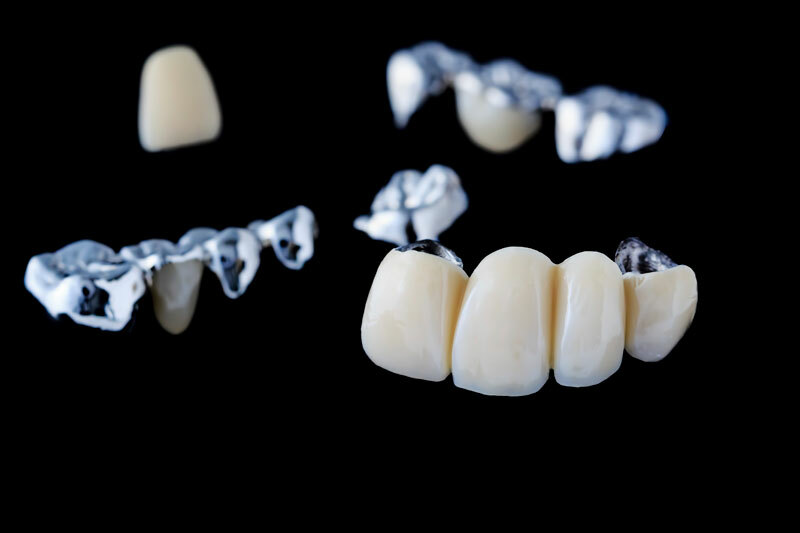 The treatment involves permanently joining a fixed dental prosthesis to the adjacent teeth or implants, which literally bridges the gap created when you lose teeth to give you a complete and natural-looking smile. A missing tooth can make it difficult to chew your food properly, affect your speech, and cause you feel self-conscious and shy. If your missing teeth are affecting your quality of life, Dr. Jeffrey Stein in Lancaster can recommend a dental bridge to restore the normal function of your mouth and to enhance your smile so you can regain your confidence. 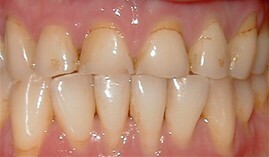 The standard dental bridge comprises 1-3 artificial teeth, referred to as pontics, which are attached to anchor crowns or abutments on one or both sides. The abutments are then cemented on the teeth (or implant if the gap is too big or the existing teeth are not strong enough) next to the toothless gap to anchor or support the bridgework. The pontics are typically made from tooth-colored porcelain for aesthetic reasons or porcelain-fused-to-metal for a stronger restoration. If Dr. Stein determines that you’re a suitable candidate for dental bridgework, your treatment can commence. 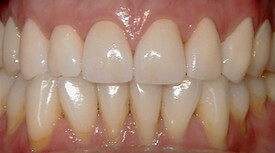 First, he will prepare your abutment teeth by removing a thin layer of enamel to create enough room to fit the crown. This is important to prevent the tooth from appearing too bulky or unusually large when the restoration is complete. Next, he will make impressions of the abutment teeth, which will be used as models to fabricate the pontic and crowns in a dental lab. This process may take 1-2 weeks, so you will have to wear a temporary bridge in the meantime. On your next visit, the temporary bridge will be replaced with your new permanent bridge. It will be fitted and adjusted accordingly to ensure a comfortable restoration, and then cemented to make the restoration permanent. With good dental hygiene and eating habits, your dental bridge can last 10 - 15 years. Schedule an appointment with Dr. Stein to see if you're a good candidate to be fitted for a dental bridge.